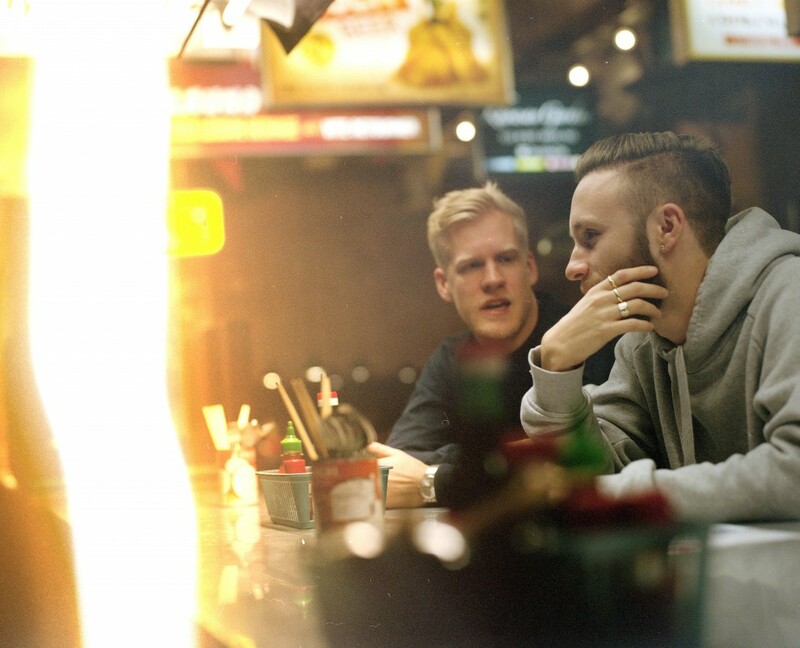 In just a few short years since the members of British wonder-duo Snakehips first met, DJ and producers Oliver Lee and James Carter have built up an impressive reputation for themselves, from gaining traction on Hype Machine remixing songs by such notable artists as Banks and The Weeknd to releasing their own infectious smash hits. In addition, their SoundCloud releases consistently racks up plays in the hundred-of-thousands to the millions by their growing and loyal fanbase. While both hail from the UK, it was as if by fate that Lee and Carter first crossed paths six thousand miles from their home country in a small bar in Hong Kong called Sake Bar Ginn. Just two years since their initial engagement, they released their first single “Days With You,” featuring the vocals of Sinead Harnett which they used to promote their EP Forever, Pt. II off of Sony Music Entertainment. But it was the group’s 2015 single “All My Friends” which featured Pop and R&B sensation Tinashe and rogue hip hop artist Chance the Rapper, that allowed them to achieve their breakout success. The song peaked at No. 3 on the ARIA Singles Chart, earning double-platinum status Australia and New Zealand. Working off the skills of one another, the duo’s chemistry is undeniable as the two seem to effortlessly release hit after hit. The two hit-makers recently took the time to sit down and chat with us on a number of topics, ranging from their path to success, the state of electronic dance music, and just what in the world their stage name actually means. So to start things off, I just gotta know–what does the name Snakehips mean? It’s from a stupid dance move I (Ollie) used to do years ago. It used to happen when I was wearing this kinda tight fitting pair of Levi’s that have long since been thrown away. I don’t do the dance anymore which is probably for the best (laughs). How long have you been DJing and producing together? And how did you guys meet? We’ve been making music together for about 3 years. We met in Hong Kong late in 2012 & decided to get in the studio together immediately after that. 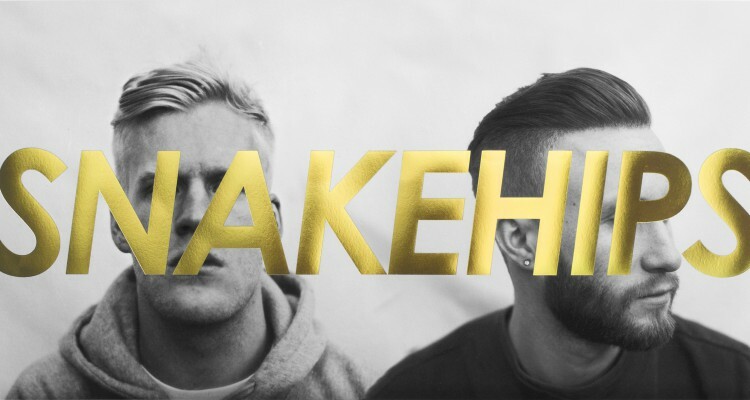 The first time we heard Snakehips was on a remix of Wild Belle’s “It Too Late” in 2012, then on a remix for Banks’ “Warm Water” in 2013 – both topped the Hype Machine charts. Do you feel that your remixes led to the breakthrough of your success? And do you recommend aspiring producers follow the same formula? Yeah it was a really cool way of showing people the way you would interpret producing a track and putting your own spin on a tune people might already know. We’ve always been interested in writing songs too so it was cool to have these amazing vocals to work with and completely re-imagine the productions behind them. We’d reach out to people if we heard a tune that we thought we could do something special with. I think they definitely help to get you noticed because they can open you up to a whole new audience, especially things like the Wild Belle & Banks ones when their style is so different to what we do. Do you think the dance music scene in the UK is the same as in the US, or completely different? Yeah it’s really different for sure. In the UK the dance music scene has pretty much just been deep house orientated for the last few years.. I think in the US the whole music scene is way more hip-hop/R&B-orientated which influences the dance music stuff. Things like trap are much much bigger in the US. Your production style walks the line of R&B with electronic undertones. We’ve seen this sound grow in popularity in recent dance music; some calling it “Future House” or “Future Bass”, how do you label your sound? (Laughs) I don’t know. We never really think of what to label it. There’s a bunch of different styles of tunes we make too so it not just one thing. There’s just always a kind of soul/r&b vibe to the way we write music I guess. And then we produce it with modern technology and stuff so that’s what makes it what it is. Congratulations on the success of your new single “All My Friends.” How did you end up collaborating with Tinashe and Chance The Rapper? Thanks! We just reached out to them after we’d made the beat last year and kind of not really expecting them to be interested. But they both were really into the track and were super down to work on it with us. We’re huge fans of theirs so we feel so blessed to have made that song with them. Can you share any upcoming collaborations or projects? We just dropped a new song with Anderson .Paak called “Money on Me” which we’re really excited about. There’s lots of other new music coming real soon!